I bet you've never seen anything like Loop Stitch! This stitch pattern is perfect for knitted home decor: a Loop Stitch pillow would make a great accent and a whole blanket is a surefire way to make a statement. Loop Stitch is also great to use in moderation (rather than as an all-over stitch pattern) when adding a decorative edge or panel to another knit project. What I really like about this stitch is that it's completely unique. It's hard to tell it's even knit! There are a few different ways to hold your loop when knitting this stitch. Depending on if you knit English style or Continental, or some hybrid of the two, your finger position may change. There really is no right way to do it, as long as you’re making a loop. 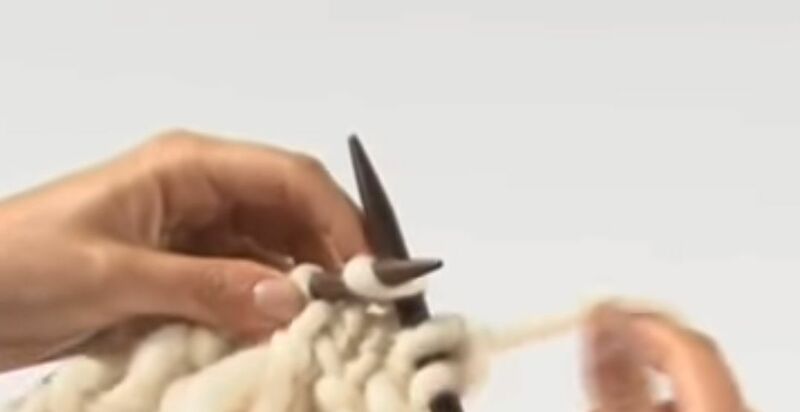 Also, in the video tutorial below, the knitter makes a Loop Stitch on every other stitch and uses pass-stitch-over decrease, but you can also knit every stitch as a loop and use the k2tog tbl decrease as written below. Loop Stitch can be worked over any number of stitches. The following pattern demonstrates how to create Loop Stitch across a 12 stitch row. Repeat Rows 3 and 4 until piece reaches desired length. Knit one ridge of garter stitch before binding off.